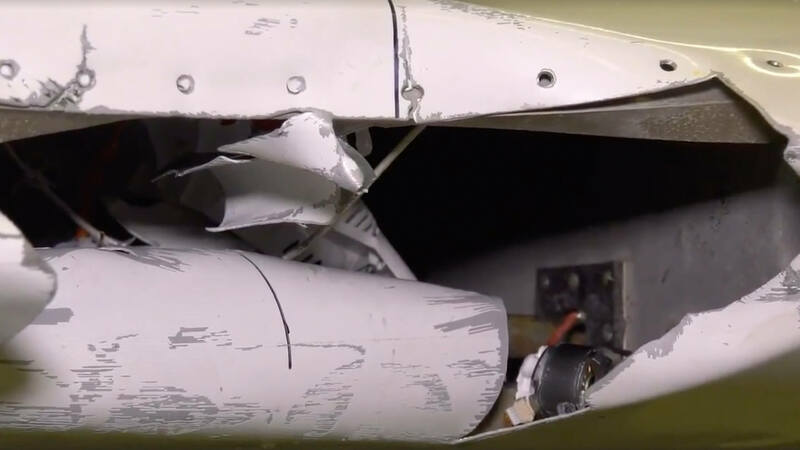 3 more tests needed, quadcopter crash into prop (small aircraft), qc crash into cockpit (@250 and 500MPH), qc crash into jet engine. It seems to me that it would be an unnecessary expense to crash it into a jet engine because it surely would disable it if not worse. Such an experiment would mainly serve to see how bad it could be not if it would be bad. Well they test bird strikes against engines so why not drones. Would be interesting to see if nothing else. If the University of Dayton can afford to destroy a jet engine just to show something interesting, more power to them. FWIW, I used to fly radio control fixed wing aircraft. The story we were told, is that that an ordinary trainer, (4 or 5 pounds), flying 35 MPH, would hit a person with the same kinetic energy as a 45 caliber bullet. Some guys with money really get into the RC hobby, and jet engines are available that will push an airplane to 160+ MPH. Yet you don't hear of any problems from radio hobbyists. It's not until they make things like today's drones available to today's ma**holes, that problems arise. Anybody with any common sense would know a drone would do the same thing to a jet engine, as would a seagull. It would be kind of stupid and wasteful to destroy a million (or so), dollar jet engine, to prove what should already be a foregone conclusion. Dontcha think? Besides, your basic quad-copter isn't going to reach anywhere close to the cruising altitude of an airliner. Airport security and radar should be on a drone and its pilot, before it gets anywhere near the runway flight path. Do it with Boeing now! Can the people do the same, if it violates their personal airspace?